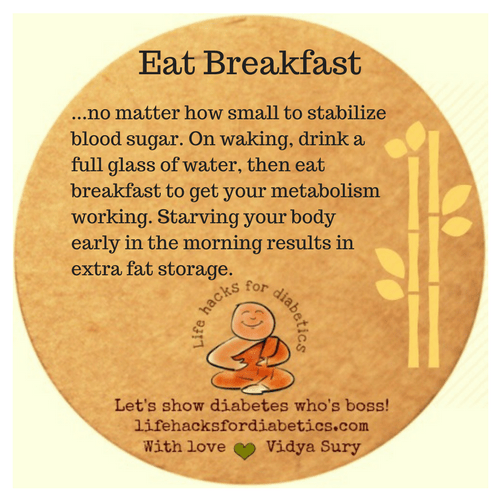 Eat Breakfast …no matter how small, to stabilize blood sugar. When you awake, drink a full glass of water, then eat breakfast to get your metabolism working. Starving your body early in the morning results in extra fat storage. Do you want to lower your triglycerides?